The regeneration of Brixton Village in south London has been one of the most extraordinary urban success stories of the last decade. 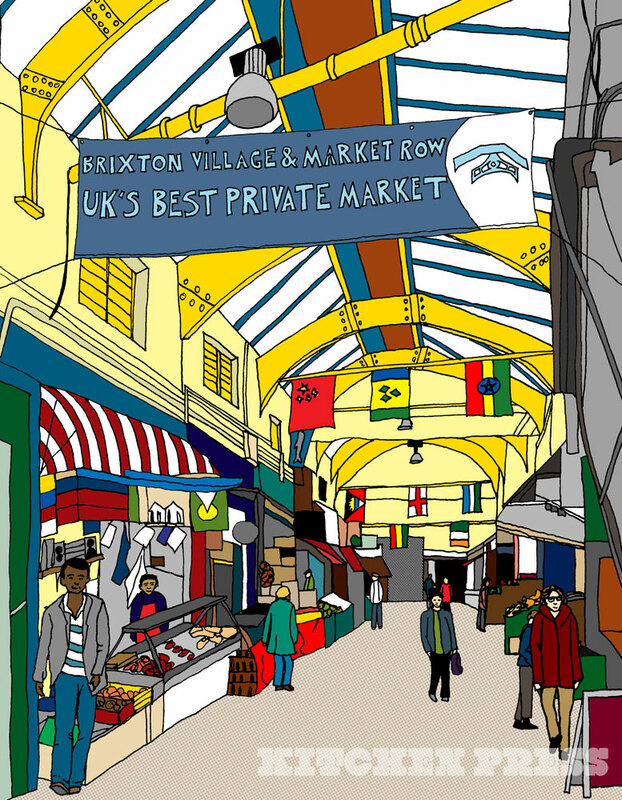 Including a guide to all the restaurants and stalls, and wonderful illustrations from local illustrator Kaylene Alder, Recipes from Brixton Village captures the energy, talent and vibrancy of the most exciting market in London. Miss South turns to one of her favourite kitchen appliances, her beloved slow-cooker, and shares 200 recipes for economical, adventurous food. Look forward to recipes such as Oxtail stew with Guinness, star anise and dark chocolate; Black bean, kale and pumpkin stew and Stout-soaked Christmas Pudding. Her ideas include plenty of hearty mains and scrumptious puddings, as well as quick-and-easy side dishes and creative ways for using up any leftovers. This is no-fuss, affordable, slow-cooker food at its best.